The Gmail Slap! 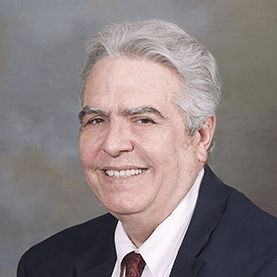 – Internet Marketers are Scared! Gmail Slap! It is happening now. Email Marketers are looking at a huge slash in their open rates. Gmail’s changes could drastically affect your Internet Marketing business. Well maybe not, there are ways around the Gmail Slap, even now in its infancy. There is a solution, but it requires that you provide enough value to your subscribes that they are willing to help you out. What the Heck is the Gmail Slap? 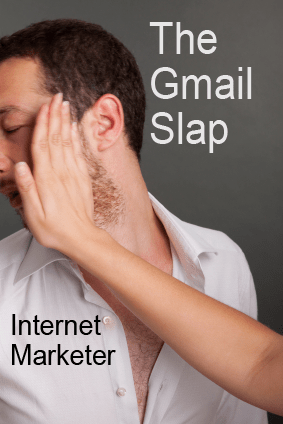 Gmail slap is a strange phrase – unless you are an Internet Marketer. It harks back to the “Google Slap.” Around 2008, Google decided that too many “work from home” and “Get Rich Quick” ads where scams and schemes. This didn’t set well with them. Their number 1 priority has always been “a good user experience.” If many of the people using Google to search for “Work at Home” opportunities were being bilked, the results were definitely NOT “a good user experience.” Since Google had no way to separate the wheat from the chaff, they dumped everyone. 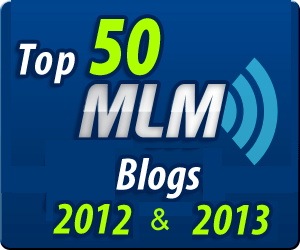 While numbers are never publicly available it looks like over night 50,000 Internet Marketers lost their accounts. Others face HUGE increases in the cost of their ads. Accounts that bought over a hundred thousand dollars a month in AdSence ads, were suddenly silent. The accounts were closed and there was no appeal. The Google Slap. Today we have the Gmail Slap – not quite the same, but close. Over the last few days Gmail (owned by Google – see a trend here) started rolling out a new look. That look is being called the Gmail Slap. Instead of having one inbox, there are now three tabs at the top of the screen. These tabs are labeled “Primary”, “Social” and “Promotions”. 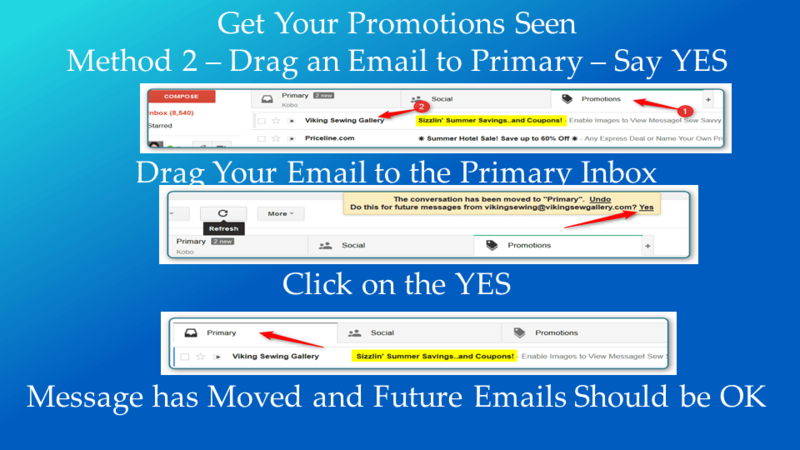 It look like all emails that have an “unsubscribe” link at the bottom (as required by the CAN-SPAM Act of 2003) will drop into the Promotions tab. Readers Scan – They Don’t Read. They Certainly Don’t Open Secondary Windows! Roughly half of the subscribers on many lists have Gmail accounts. If these accounts suddenly stop opening their emails, the impact will be huge. In this video I go over what we know right now and make a recommendation on what to tell your subscribers to reduce the impact of the Gmail Slap. Click on the YES that appears just over the inbox tabs.That’s All it takes. The Gmail Slap is real and we all need to keep a close eye on developments.